Ultradot offers the HD-Micro which is small and lightweight and has a built-in rail clamp system. Will this work well for Bullseye? BTW my eyesight is very good and I can see the front sight in great clarity. Once again please, why not the Sightron S33 at $139.99? Following the ^^ endorsements I'm down to the Sightron S30 OR the S33 for the FAS6004 training gun and the .22lr Benelli MP-90S. I again agree with LenV, at one time UltraDot was a great sight but lately their quality seems to have gone down. However they were not perfect back then either. As I have posted the adjustment screws eventually dent the tube they move for adjustment and I'm assuming others will eventually do the same thought I don't know how the Micros accomplish adjustment. The problem will begin to be noticeable when changing elevation windage also changes. 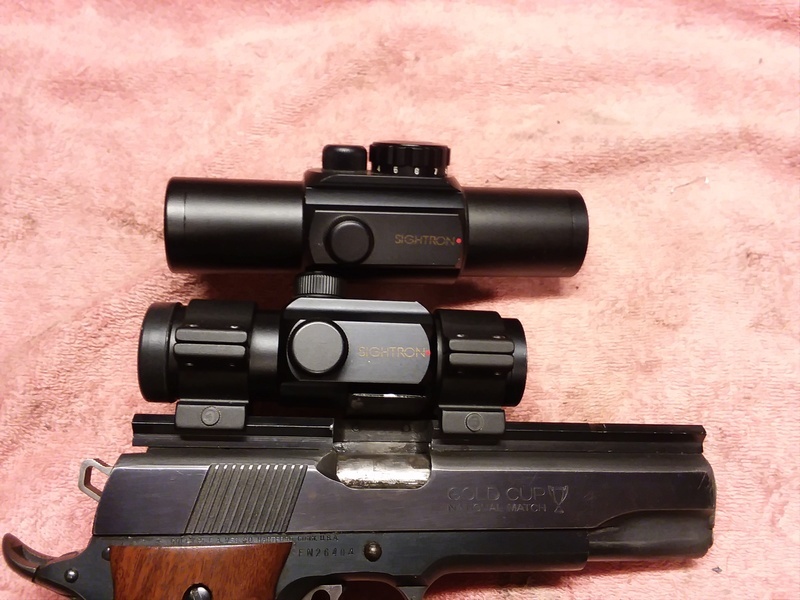 When that started to happen I replaced the scope and sold it to an IDPA type shooter. Amati, Sometimes they say a picture is worth 1000 words. I have a S30-5 mounted on my primary 45. I have an S33 in my safe. Scope is huge. I will say the 9000sc is bigger but you can find good rings for it. Picture of the Mickey Mouse rings that come with the S33 4reticle. Thank you LenV and 1joel1. Today I went to a NRA 2700 competition and out of 8 USMC Markmanship Unit shooters on the line more than half of them had Ultradots on their guns. I think I'll get started with a lower cost unit, like Joel's Primary Arms ^, on the air gun and see how that goes forward. Out of curiosity, what dot sight is mounted on Brian Zins 45 in this video? 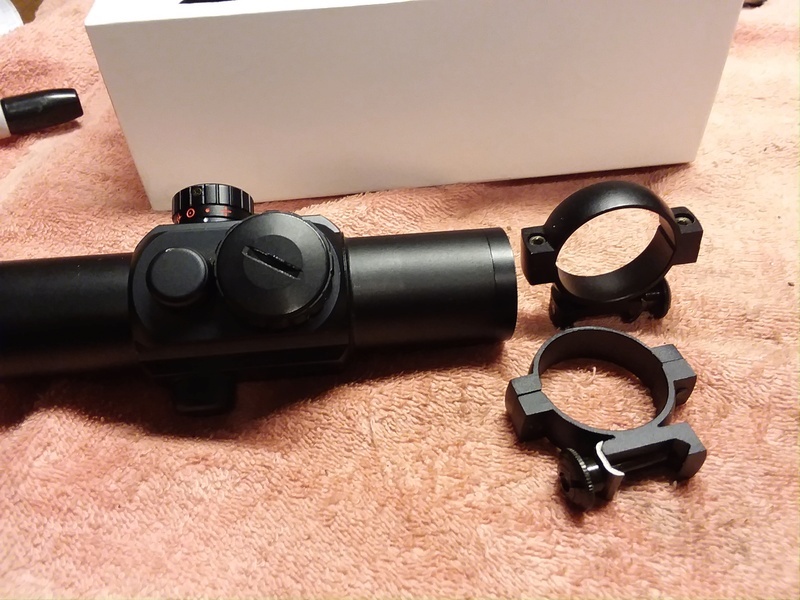 Edit: pretty sure that's an Aimpoint Micro, partly based on this article: https://www.ssusa.org/articles/2015/11/10/aiming-the-red-dot-sight/ I think it's a H-1 with shade tubes added. Be nice to find the mount for that configuraiton.